Variety is the spice of life, so the saying goes. So why not get a little variety in your skin care. These products have been overstocked! Inspired by comments from my youngest, back when he was little, that the bars were too big for his little hands. 👶 These bars are approximately one-third the size of a normal bar, and will average approximately 1.4 ounces each. 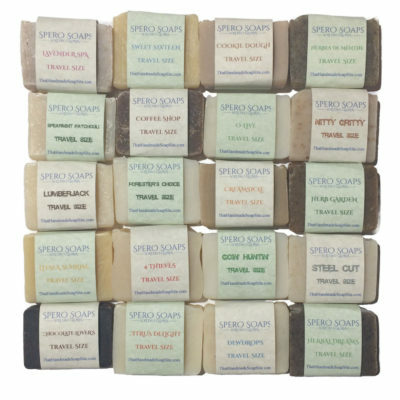 These soaps make great samples or all natural travel sized soap! 🛫 They're also great for guest soaps & party favors. They come individually wrapped as shown in picture, but are not labeled for sale that way. You will receive them all in one bag that is fully labeled for sale. *Please note: As this product is already at a discounted price due to the bulk quantity, it is not available for further discounts! Thank you? 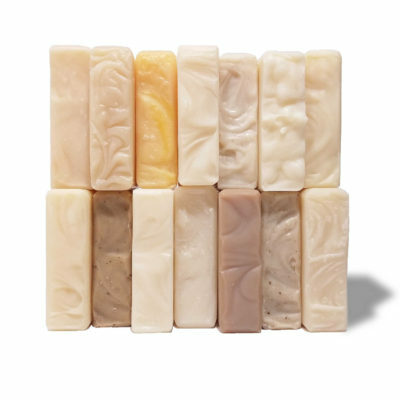 Contains: 1 each of 20 soap varieties.